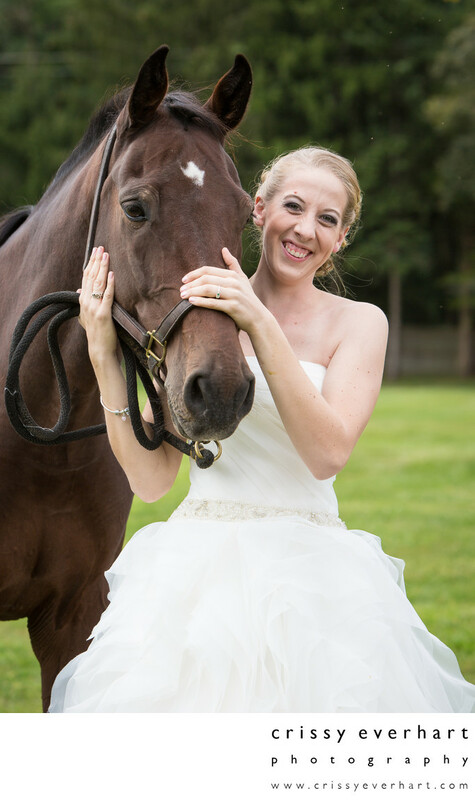 This bride snuggles her favorite horse on her farm in Chester County. She is wearing a dress from VanCleve Wedding Pavilion. Incorporating your family pets into your wedding photos is a fun way to remember how your furry family looked when you got married!